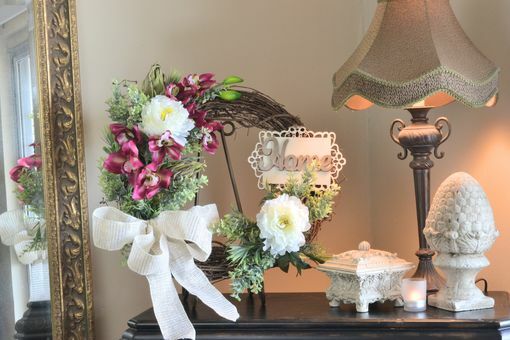 Home – this is what inspired me to create this Front Door wreath. 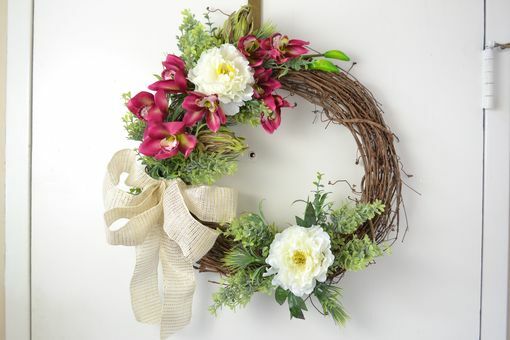 The color palette of fuchsia and cream blossoms from this Summer door wreath. 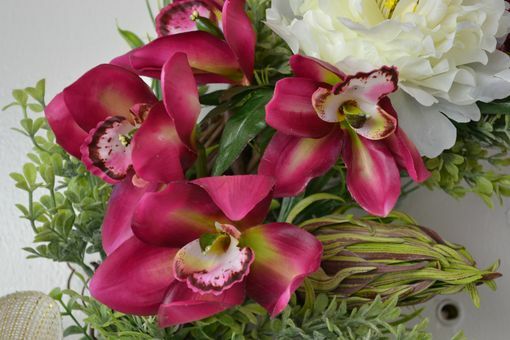 Refreshing array of Orchids, Peonies, Tropical Cones, and lush greenery of grass and Eucalyptus. This silk flower arrangement is also accented by a handcrafted bow and ornamental wood plaque which says "Home". 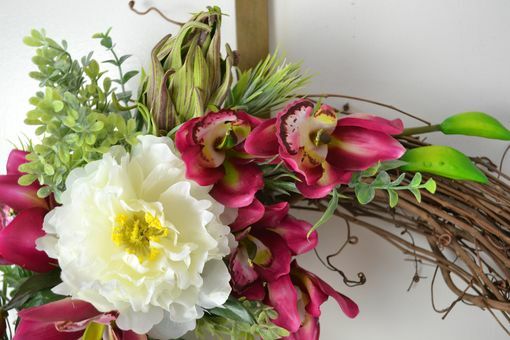 Adorn your home with this versatile home décor floral arrangement. 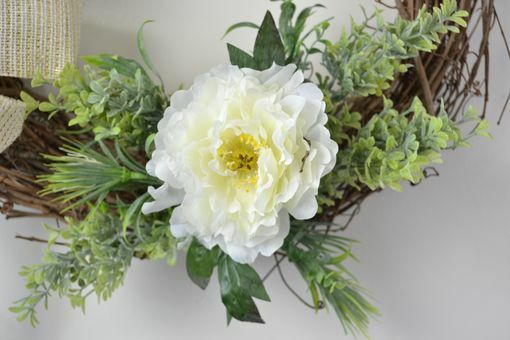 All of my wreath floral arrangements are unique thus you can consider it a personalized wreath. They are ready to ship and display right out of the box.